Fresh vector graphics to decorate spring and nature projects. 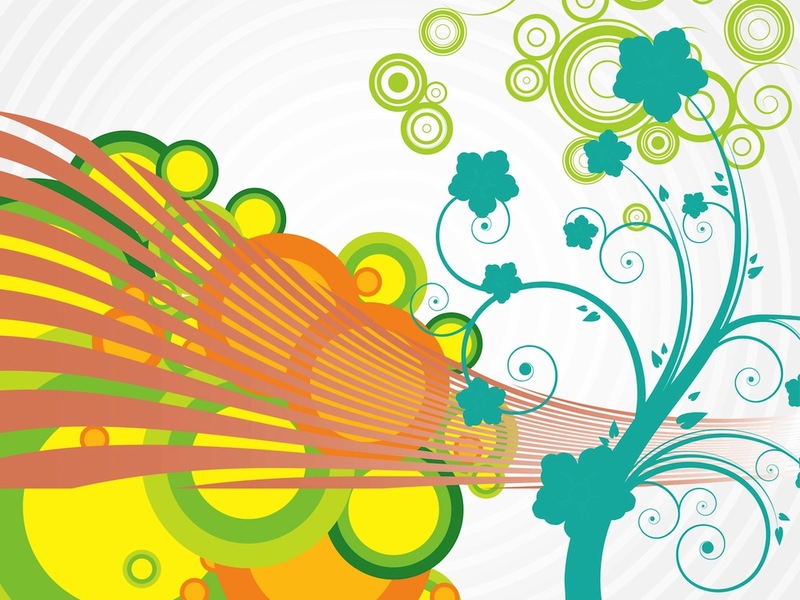 Curved lines, concentric circles in different bright colors and a big silhouette of a blooming flower with swirling stems. Free vector illustrations for all kinds of backgrounds, backdrop images, stylized garden wallpapers, greeting cards and clothing prints. Tags: Circles, Cool, Floral, Flowers, Fresh, Lines, Plants, Silhouettes, Spring.